1. 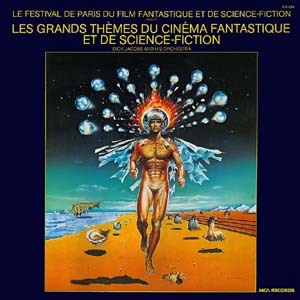 Main Title from "THE SON OF DRACULA"
2. 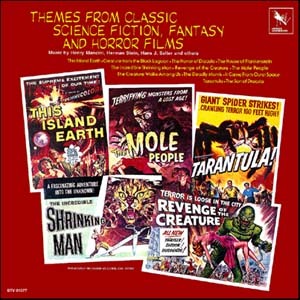 Theme from "THE INCREDIBLE SHRINKING MAN"
3. 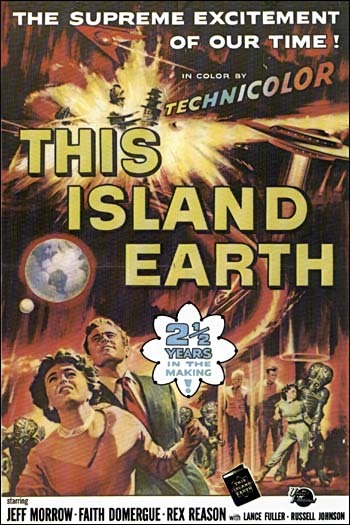 Shooting Stars from "THIS ISLAND EARTH"
4. Treacherous Trek from "THE MOLE PEOPLE"
5. 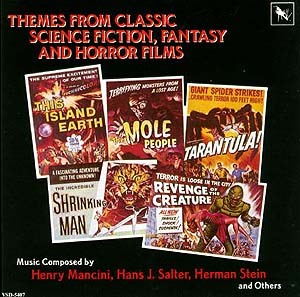 Main Title from "THE HOUSE OF FRANKENSTEIN"
6. Dracula's Feast Of Blood from "THE HORROR OF DRACULA"
7. The Monster Attacks from "THE CREATURE FROM THE BLACK LAGOON"
8. 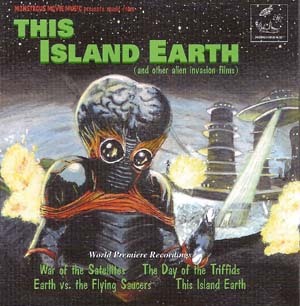 Visitors From Space from "IT CAME FROM OUTER SPACE"
9. Stalking The Creature from "THE CREATURE WALKS AMONG US"
10. Winged Death from "THE DEADLY MANTIS"
12. 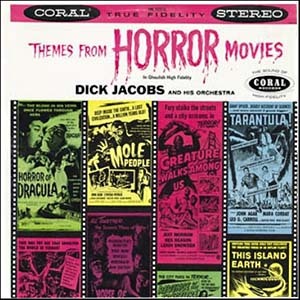 Main Title from "THE HORROR OF DRACULA"
13. 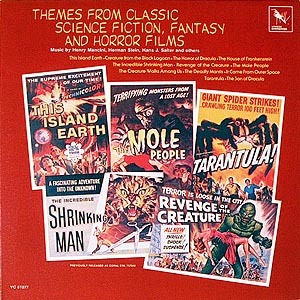 Main Title from "THE REVENGE OF THE CREATURE"
14. 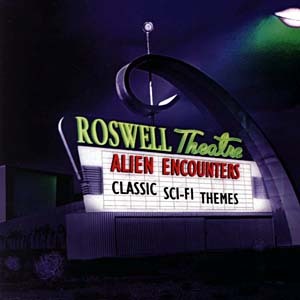 Main Title from "THIS ISLAND EARTH"
John Williams from "Close Encounters Of The Third Kind"
Denny Zeidin from "Invasion Of The Body Snatchers"
Ronald Stein from "Not Of This Earth"
Ennio Moricone from "The Thing"